Andrea has been interested in Natural Health and Wellbeing for many years and has completed a Bachelor of Health Science in Naturopathy to consolidate her knowledge and obtain a qualification that enables her to assist you on your journey to optimal wellness. 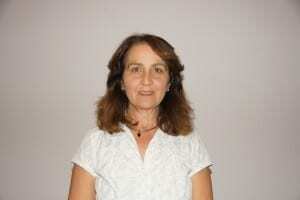 Andrea has a particular interest in good nutrition and the use of food as medicine in aiding the healing process. She understands the issues involved in maintaining good health while trying to manage a busy family/work life. She will work with you to develop a treatment plan that fits in with your lifestyle so that it is manageable and achievable. Andrea is excited about joining the team at Freedom Chinese Medicine and assisting you on your journey to health and wellness. Andrea is available on Tuesdays & Thursdays. $20 off initial consultations with Andrea Mallett. For sessions had in September 2016 only. Call us on 9486 5966 to book today.